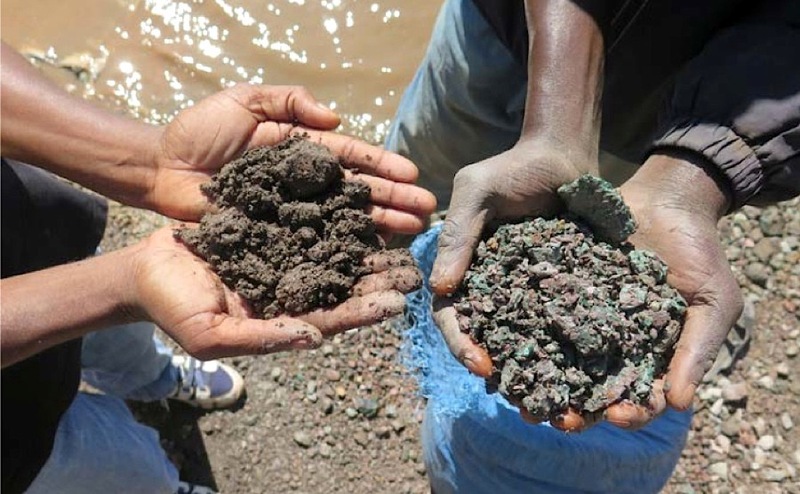 Artisanal miners hold up handfuls of cobalt ore (left) and copper ore (right) that they have scavenged from the mounds of tailings from active and inactive industrial mine sites near Lake Malo, Kapata, on the outskirts of Kolwezi, in the DRC. The miners must then sort, wash and crush the mineral ore before selling it to buying houses, May 2015. © Amnesty International and Afrewatch. Analysts a BMI Research, a division of Fitch Group, estimate the country’s cobalt output will jump from 66.2 thousand tonnes (kt) expected for this year to 78.9 kt by 2020, growing at an annual average of 4.6%. Congo is the world’s largest cobalt producer. Last year it accounted for just over half of the overall output of the mineral, which is often mined as a by-product of copper. However, the country’s cobalt is not always produced in optimal conditions and, in fact, the country ranks fourth in the world for having modern-day slaves working mainly in its mining industry, according to an index put together by risk consultancy group Verisk Maplecroft. Those workers, many of them children, labour in harsh and dangerous conditions. An estimated 100,000 cobalt miners in Congo use hand tools to dig hundreds of feet underground with little oversight and few safety measures, a major investigative report by The Washington Post's Todd Frankel and Michael Robinson Chavez recently confirmed. 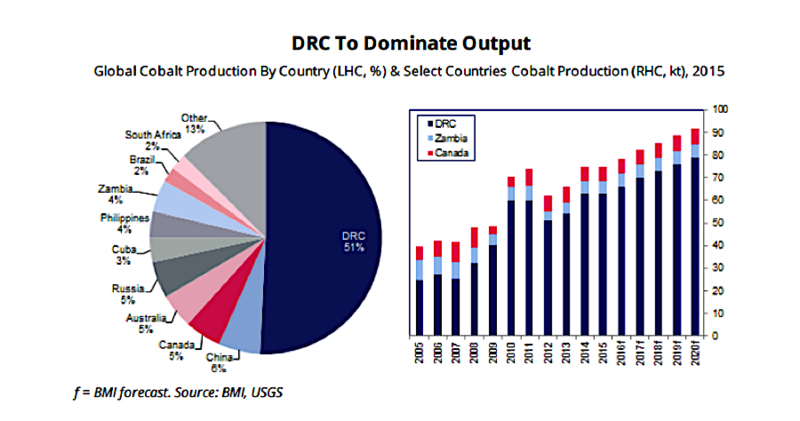 Operational and political risks facing miners in the DRC could result in operational disruptions and dent output— BMI Research. This is especially so for the so-called "artisanal miners," who are not direct employees of any company but make their living by jumping down nearby holes, often barefoot with no safety gear. The BMI report acknowledges that operational and political risks facing miners in the DRC could result in operational disruptions and dent output. The key downside risks to the experts' positive outlook for the country’s cobalt production include ongoing rebel activity, uncertainty surrounding Congo’s mining code reform and heightened regulation in the US over conflict minerals. The analysts add that while increased supervision over the Congo’s mining industry could result in companies having elevated costs due to reputational damage and the need of providing additional reporting, existing regulations have proven difficult to enforce and as such they will unlikely to really impact the sector.